What’s a girl to do….. – Helen, Naturally! So I have been doing very well on the whole paleo diet this week. Following the plan precisely, buying/cooking the appropriate foods, filling my body with wholesome goodness…………..or so I thought! Let me back up a minute and reiterate that the purpose of me following this diet for a few weeks is to determine if I have some sensitivities to specific foods like gluten, dairy, etc. I do miss many healthy foods I enjoy, and I am hoping to incorporate them occasionally into my diet again. One of the main things to remember when following this plan is to eliminate all sugars. Yep, that’s right at first all including natural sugars such as honey & maple syrup. The only form of natural sugar approved on the plan would be fruits. Then I decided the other night I was in the mood for roasted butternut squash and asparagus. Sounds great right? Yep, it is. Along with pork chops per the hubster’s request. So I gladly grilled and roasted the food with some lemon pepper for dinner. It was delish. 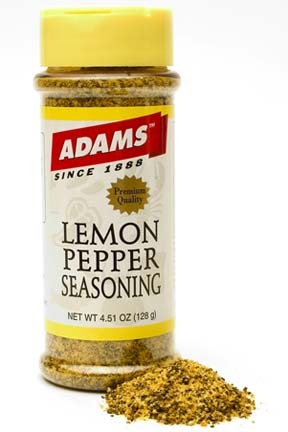 Until I realized that sugar in one of the ingredients on the lemon pepper seasoning that I have. The bottle that I just purchased a month ago! It’s CRAZY how many things have sugar in them! UGH! I’m glad the diet is going pretty well though 🙂 Keep it up, Helen! !